I would just like to share to all the beautiful ladies the new product I am using. It’s my new facial wash and boy am I so amazed and happy with it!!! 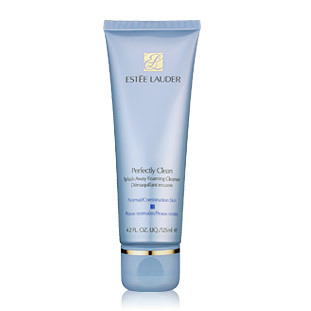 Presenting to you Estee Lauder’s Perfectly Clean Splash Away Foaming Cleanser! It’s smells like you just got out of the shower with a little bit of perfume! I can’t find the perfect words to describe a perfect facial wash! After you have washed your face with this, your face becomes whiter, seems blemish free and you won’t see a single oily part on your face even on your T-zones! I recommend this product to everyone! 🙂 Go ahead and try it!